• signal balancing for maximum depth. • developing your accuracy through bench-testing. • coil control tips and methods. • advanced site selection and analysis. $14.95 (87 pgs. 8.5 X 5.5). 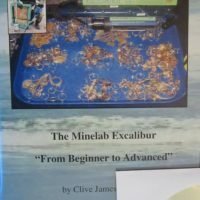 …the book specifically written on the Dual Field by Clive Clynick. 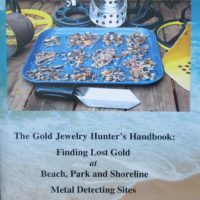 Fabulous information by proven & experienced treasure hunter! 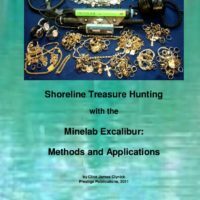 A must read for anyone interested in learning how to successfully pulse hunt. I started using my DF in ’09 and have learned many things about how it responds to the variations in hunting conditions I encounter here on the shore of Long Island Sound. 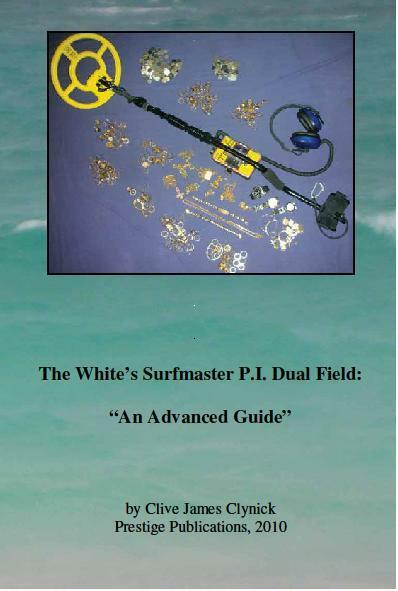 Clive James Clynick has a great book, “The White’s Surfmaster P.I. Dual Field: “An Adfvanced Guide””, that covers just about every one of those variations and more and I whole-heartedly recommend you read it and absorb the info therein.